Surprised to find your finished garments returned to you on bright red hangers during the month of February? February is the American Heart Association’s month dedicated to raising awareness of heart disease, the leading cause of death among American women. The Bahlman family lost a daughter to a rare form of heart disease. Our Red Hanger Campaign is our way of raising awareness so that other families do not experience similar grief. Learn the signs and symptoms of heart disease, get regular checkups and take care of your heart! Anne is why. Every October, Bahlman Cleaners goes pink! We gladly join 2 of our suppliers, M&B Hangers and FabriClean Supply in their support of the fight against breast cancer. 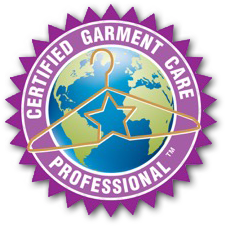 Each day in October, our customers’ finished garments are returned to them on pink hangers. Each pink hanger we use results in donations to the American Cancer Society by M&B Hangers and FabriClean Supply. We proudly join these suppliers in their goal to “inspire hope, perseverance, triumph and courage” in the fight against breast cancer.